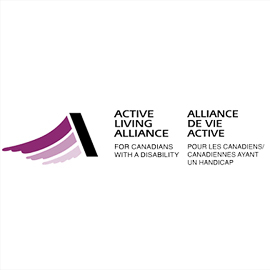 The Active Living Alliance for Canadians with a Disability (ALACD) is an alliance of individuals, agencies and national associations that facilitates and coordinates partnerships among the members of its network. ALACD promotes, supports and enables Canadians with disabilities to lead active, healthy lives. ALACD provides nationally coordinated leadership, support, encouragement, promotion and information that facilitates healthy, active living opportunities for Canadians of all abilities across all settings and environments.